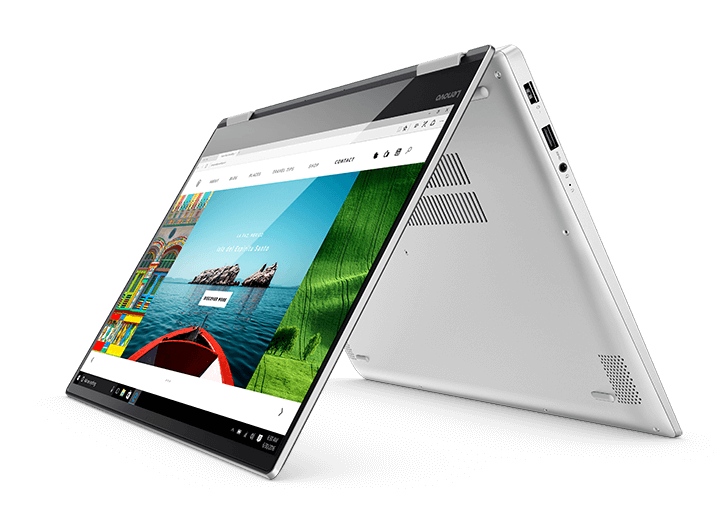 Today, Lenovo Yoga 720 2-IN-1 specifications and features leaked online. Lenovo Yoga 720 15 will include 7th Gen Intel® Core i7, 16GB RAM, 1TB storage space and NVIDIA GTX 1050M. The 2-IN-1 will also come with two display options, you can select between 15.6″ 4K UHD (3840 x 2160) and 15.6″ FHD (1920 x 1080). You will get 9hrs or battery backup with new Lenovo Yoga 720 15 2-IN-1. On the other hand, Lenovo Yoga 720 13 will also be powered by same 7th Gen Intel Core i7, 16GB RAM, and 1TB SSD storage space. You will get inbuilt Intel HD Graphics 620 graphic. Again, you will have two display options between 13.3″ 4K UHD (3840 x 2160) and 13.3″ FHD (1920 x 1080). You will get 9hr of battery backup. WalkingCat posted the details of Lenovo Yoga 720 13-inch and 15-inch 2-IN-1. Check out full details below. The Yoga 720 delivers unprecedented power for a 15” convertible. Featuring the latest Intel processors and up to 1 TB PCIe SSD storage, you’ll enjoy lightning-fast boot-ups and transfer times. And with up to 8G memory onboard and max 16G, you’ll be able to use more apps, large programs and files without being slowed down. The Yoga 720 delivers stunning visuals, thanks to a cutting-edge GTX1050 discrete graphics card. Render multiple videos, play advanced games, edit photos—or do all three at once. You’ll never miss a beat. Available in Platinum Silver or Iron Grey, the Yoga 720’s sleek aluminum design is sure to turn heads. At only 19mm thick, it’s a perfect complement to an active lifestyle. And it’s more than just a traditional laptop: The Yoga 720’s 360-degree hinge means you’ll be able to fluidly transition into tablet mode for reading on the go, tent mode for streaming videos, and more. With this much flexibility, you’re sure to find different—and better—ways to work and play.